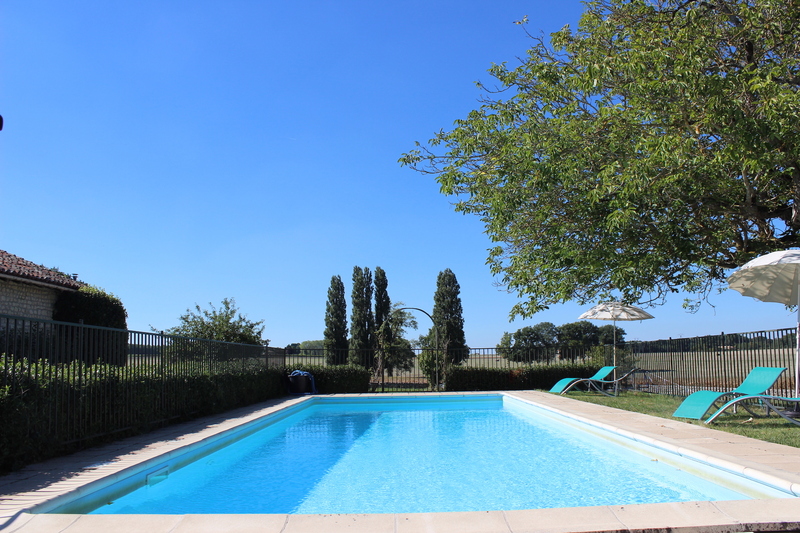 Your holiday home - "Le Pommier" (sleeps 6*) and "La maison d'été" (sleeps 4) were both refurbished for the 2016 season, and offer dog-friendly (see “details” for further information), characterful, comfortable rooms and lovely views over gardens and countryside. 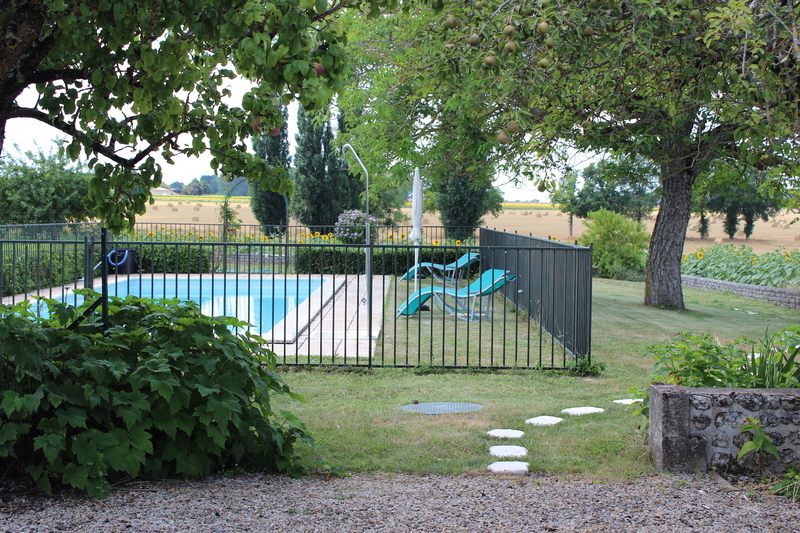 The gites are self-contained, well appointed and fully equipped; each has a private furnished terrace, and they share the swimming pool (4m x 11m) and surrounding garden. There is a DVD library and each cottage has a TV, DVD player and free internet access. 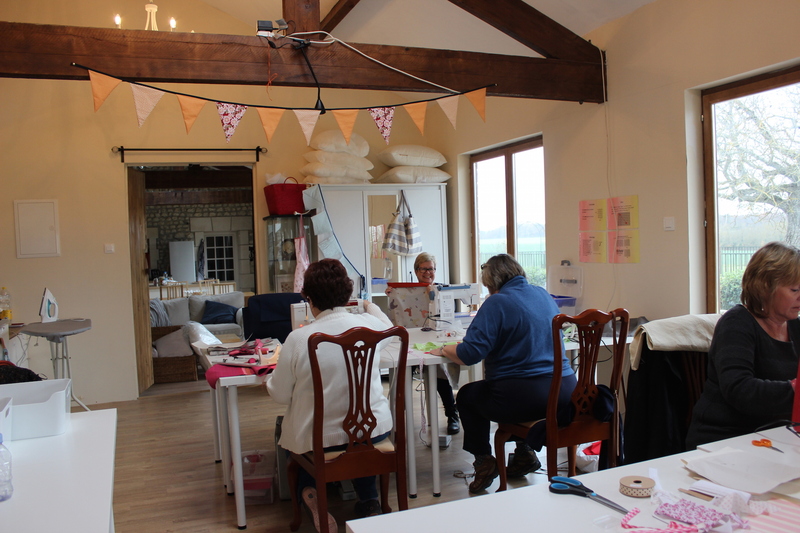 We offer Cycling holidays and Textiles holidays and courses - see “Cycling” or "Textiles" for further information. Sports near Le Jardin du Berger - You will find many opportunities for cycling, running, canoeing and much more in this area. 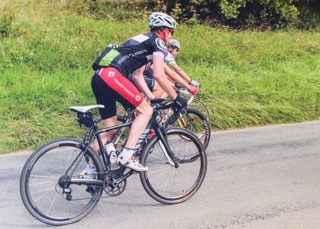 For example, there are the "Charente Velo" road cycling Circuits of varying difficulties, plus mountain biking routes winding through the countryside. There is the man-made lake at Brossac and the river beach in Aubeterre-sur-Dronne. For golf enthusiasts there is the 34 hectare Golf de l'hirondelle in Angouleme and the Manor de Longeveau, Aubeterre. The golf course in Cognac is located in St Brice and is on the banks of the Charente river, between Cognac and Jarnac. Location - Le Jardin du Berger is in a secluded spot, approached through woodland and 1.5km from the village of Challignac with its Romanesque church (XI-XII Century). It is an area famous for Cognac, Bordeaux wine and Pineau des Charentes; it is within easy travelling distance of the town of Cognac (perhaps tour a Cognac house?) and historic St Emilion. There are typical markets (Chalais, Riberac), official "plus beaux villages" (Aubeterre-sur-Dronne, Talmont-sur-Gironde), seaside resorts (Meschers, Royan, Saint-Georges-de-Didonne) and elegant towns (Saintes, Angouleme). 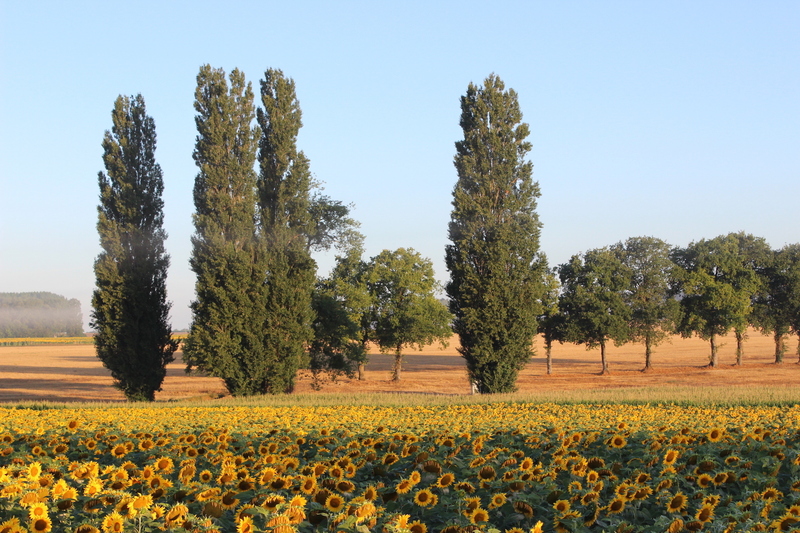 Climate – The Charente is in the South West of France and is renowned for a climate second only to the French Riviera. Winters are usually short and mild and summers are hot but not humid. Spring and autumn are particularly pleasant here - usually warm and sunny - you can often eat outside from April until November. The long hours of sunshine, combined with just enough rain, mean the landscape is rich and verdant – an ideal climate for agriculture and viniculture, and a perfect location for a relaxing holiday at any time of the year.